If you care about gay rights, you might want to rethink your drink. Gay rights groups are boycotting Russian vodka after the country cracked down on gay activists and pride parades, the BBC reports. In addition, new legislation makes it illegal to teach “non-traditional values” (ie. gay-friendly values) to children. On June 29, a gay pride parade in St. Petersburg was attacked by thugs and several marchers were badly beaten. Police then rounded up the marchers (not the thugs) and arrested them. You can see photos from this and related events in this shocking photo essay from Buzzfeed. The boycott started in the U.S. a few days ago and has since spread to other countries. Gay bars have pulled Russian vodka from their shelves and an online petition is calling for Manchester to “untwin” from its sister city St. Petersburg. Protesters have dumped vodka on the street in front of the Russian consulate in New York City and taken to Twitter with hashtags such as #dumpstoli and #dumprussianvodka. Homosexuality was decriminalized in Russia almost two decades ago but there’s been a severe backlash against the LGBT community in recent years. One major vodka brand, Stolichnaya, has come out with a public statement in support of gay rights and says it shouldn’t be targeted by the boycott. They say that while they use Russian ingredients, they are in fact a Latvian company. 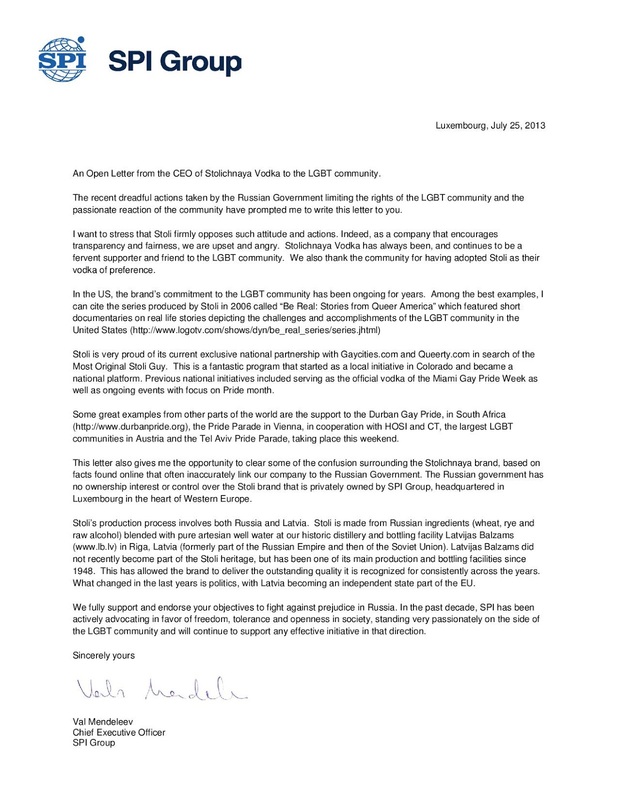 There’s an ongoing discussion in the LGBT about expanding the boycott to include other Russian products and also the 2014 Winter Olympics in Sochi, Russia. Places of worship have long been points of interest for travelers. Solemn and usually quite ornate, these buildings provide a window onto a community’s history and values and often give visitors a much-needed pause while pounding the sightseeing pavement. Cathedrals are typical for this kind of touring. But have you ever thought to pay a visit to a synagogue? My fascination with exploring synagogues began on a trip to Willemstad, Curaçao, home of Mikvé Israel-Emanuel, the oldest active Jewish congregation in the Americas built in 1651. Several years later, I had the opportunity to visit the Paradesi Synagogue in Cochin, Kerala, India. Constructed in 1568, it is the oldest “active” synagogue in India – “active” because there are fewer than 20 Jews left in Cochin, most having emigrated to Israel. Coincidentally, I learned about the Jews of Cochin from an exhibit at the 6th and I Synagogue, a historic synagogue in Washington, DC, that is now used primarily as a community center and arts space. The Jewish diaspora is thriving in many parts of the world. Yet in places like Cochin and Mumbai, the local Jewish community is dwindling, giving impetus to visiting some synagogues before they are shuttered or left to become museums. The following are some of the synagogues I have seen or wish to explore on my travels. From an island microslum in Colombia to a haute enclave in central Paris, the ten most crowded islands in the world bear scant similarities in class or culture. In fact, every entry in the top ten comes from a different country. But being islands, each shares the common thread of scarcity – whether it be land, resources, or housing. In general, these islands are prophetical microcosms for an overcrowded earth – finite spaces where self sufficiency governs and demand pierces supply. With the world’s population racing higher and higher, and the “megacities club” accepting new members yearly, some day the earth could bear the traits of one of these densely packed islands. Story: This island located in St. Pete is a collection of 18th and 19th century buildings with some Soviet built apartment blocks lining the Gulf of Finland on the western shore. The communist housing ethos of the twentieth century called for rows and rows of tight apartments, and this historic island in Russia’s second city was not immune to the sprawl. This created the compact quarters of Vasilyevsky island. Famous for its old school stock exchange and giant Rostral columns, the island is popular with tourists. Story: This small island in central Stockholm once served as a hub of industry for Stockholm’s industrial operations. The easy boat access allowed for ease of shipping by boat, and the island factories manufactured an array of goods, from massive lamps for lighthouses to vacuum cleaners. Eventually, as the industrial applications became outmoded, the island became home to several apartment towers. Today, the island is crammed full of smiling Swedes living in apartments with (presumably) tasteful modern furniture. Story: Perhaps the most stylish island in the world, Île Saint-Louis is a marvel of 17th century urban architecture and planning. Narrow roads and some of the priciest real estate in the world have allowed the island to remain relatively calm, despite its location in central Paris. While Île Saint-Louis is off of the tourist radar for most, this island in the Seine River embodies the classic Parisian spirit, worthy of an afternoon stroll with a perfect sorbet from Berthillon. The island is named for France’s canonized King, Louis IX. Story: In 1626, the Lenape Indians sold Manhattan island to the Dutch for a bag of axes, hoes, iron kettles, duffel cloths and other 17th century garb worth about $24 (roughly $1000 in modern value). It is safe to day the island has grown ambitiously from this humble transaction. The center of the financial universe is now home to many – truly a place where the world lives. The island once known as New Amsterdam, and briefly, New Orange, shadows America’s story, both tragic and triumphant. Story: Salsette, an island off the western coast of India, is home to Mumbai and its sprawling suburbs. As a poster boy for “New India,” Mumbai is as dichotomous as it gets, at once the wealthiest city in south Asia and also home to one of the world’s largest slums – the notorious Dharavi. Dharavi is an island within an island, a super-slum with roughly one million people spread out over an area less than a square mile. At the other end of the spectrum, Salsette Island is also home to extreme wealth. The house known as Antilla is a 400,000 square foot giant that towers with some of Mumbai’s tallest buildings. Truly a contrast from the squalor in Dharavi, the private residence houses six people, can accommodate 168 cars, has 9 elevators, and an ice room with snow flurries. Story: The Maldives is one of Asia’s top tourist destinations, with 26 atolls and 1,192 islands offering beach perfection. At its center is the capital city – Male. Male is a humbly sized island of just a couple square miles. It is stuffed full of people, hotels, mosques, and office towers that efficiently utilize the scare land resources. While landfills have reclaimed some land from the sea, most progress is made vertically rather than horizontally. The modern downtown island in the middle of the Indian Ocean is a stark aberration from the deserted islands that dot most of the Maldives. Story: Hong Kong is the land of a thousand towers, clustered most densely on the island of Ap Lei Chau just southwest of Hong Kong Island. 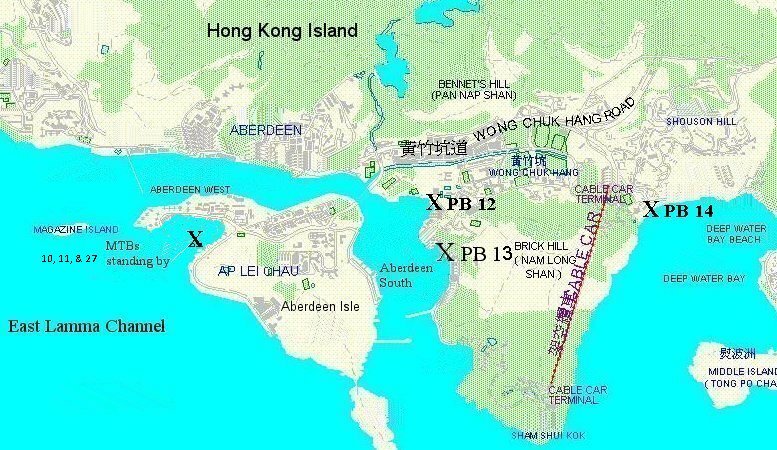 Ap Lei Chau served as the settlement for Hong Kong Village, theorized to be the etymological source for the famous larger territory of Hong Kong. Strangely, Ap Lei Chau translates to Duck Tongue Island, said to be named for the island’s shape. It is filled with high rise residences and even a winery. Story: This bantomslum in the middle of Lake Victoria is a fishing village perched precariously on half a sphere of rock. The residents take in large hauls of the Nile Perch – a poster boy for River Monsters that can grow to a comedically large size. Migingo is famous for a decades-old dispute between Kenya and Uganda over the sovereignty of the small island. There is even a facebook page where individuals can “like” declaring the island Kenyan. (The page has twice as many followers as there are residents on Migingo.) Uganda agrees with this claim, most of the time, though the tiny rock island is not the issue – the fishing rights are. Story: The most densely populated island in the world is a microslum off the coast of Colombia. This tropical island is located in the emerald waters of the idyllic Caribbean, though is packed so tight that most activities are done off island. Schooling, football, graveyards, and work all take place away from Santa Cruz del Islote. The island park is the size of a small tennis court, and fresh water must be shipped in by Colombian Navy ships. Santa Cruz del Islote also does not have electricity. What the island favela does have is people, lots of them. To visit the world’s most packed island, hop on a ferry from Tolu, Colombia. The nearby hotel of Punta Faro can arrange tours of the island. This quick trip around the world by filmmaker and photographer Alex Profit is a stunning display of photo-tourism. The video embarks on a journey through Paris, Barcelona, Berlin, St. Petersburg, Shanghai, Tokyo, New York and London. It will cure your nagging fits of wanderlust for the duration of its five minute run-time. Beyond that though, you may experience an uncontrollable urge to visit Barcelona or one of the other many locales documented. The video was made by compiling 2000 photographs from eight separate locations. It took Alex twenty-four days to travel to all of the locations and get the shots. That is covering a lot of ground, fast. If you could choose to travel to any of these locations, which one would you choose?